4.5 stepping into the sunshine Stars! What happens when the girl of your dreams is there for the taking, but you can’t reach out to her? What happens when your future is headed in the right direction but the nightmares of your past are keeping you stuck? How can you listen to your two best friends, but not hear what they are saying? And thus we see the inner conflict of our main character Aiden in Melanie Moreland’s latest installment in her Vested Interest Series. We first met Aiden in Melanie Moreland’s book Bentley (the first book in her Vested Interest Series). He is one of three men who meet while attending college and develop a lifelong friendship that is more like family than being friends. Aiden has had a very difficult and extremely troubling upbringing. To say his past was rough is putting it mildly. A past that continues to haunt him and shape who he is. A past that is making it difficult to have a future. And then Emmy enters Bentley’s life and along with her comes two sisters…..Cami and Dee. Cami is the youngest and the best friend of Emmy. Cami’s draw to Bentley’s friend, Aiden, is undeniable. Maybe it’s the fact that they both had troubled upbringings. Maybe it’s the fact that Cami is the sunshine and light that Aiden craves but doesn’t know how to achieve. Maybe it’s because Cami’s soul is drawn to Aiden on such a level that her soul sees what Aiden needs and what he could be. And so begins a “tug of war” of sorts as Cami and Aiden begin the dance of love. Cami trying to pull Aiden into the light, and Aiden resisting because he feels he is not worthy. At first when I started to read this book, I wanted to throw Aiden “under the bus.” Why couldn’t he see what a wonderful girl Cami was? And I wanted to throttle Cami. Why was she continuing to be there for Aiden when he was being such a prick? But that is the beauty of Melanie Moreland’s writing! Yes, it was her writing that made me feel this way about these characters, and as I continued to read and saw the depth of what made these characters who they are, I grew to love both Aiden and Cami for what they had overcome. Melanie knows how to deliver, and in Aiden that is exactly what she does. 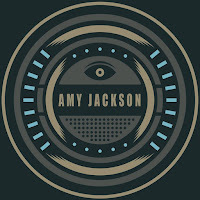 The conversations are clever and engaging and flow with the ease of a well-oiled machine. You understand where these characters are coming from as she walks you down their path of life. She knows how to add the right amount of romance, steaminess, angst, and mystery and then backdrops it with an amazing story. A perfect combination if I do say so myself. I didn’t think a man could take my heart since Richard VanRyan (yup, he’s in Melanie’s book The Contract, sorry about that one Bentley). 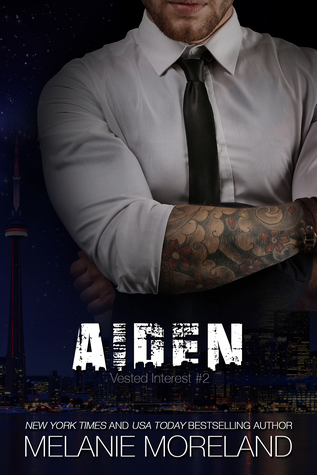 But Aiden definitely took it with this latest installment in the Vested Interest Series!! But who knows? Maybe Maddox will unseat him. We’ll know in August 2018.